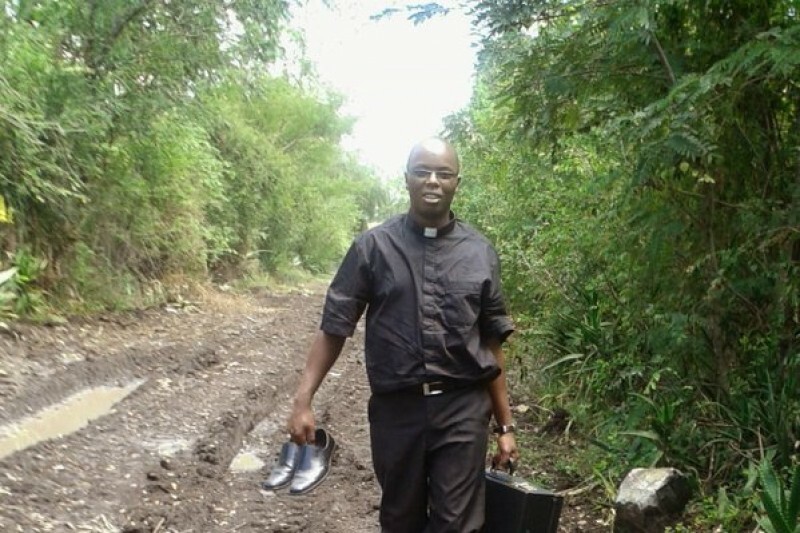 Help Father Joe help his beautiful community of Awasi in Kenya. The women and children of this town walk 5 km to and from a murky waterhole to bring water to their community. Their only clean water nearby comes from unscrupulous vendors who may force them to pay with their bodies or with their lives should they refuse. All they need is a well. We can help them. Please help! BUT we do have good news! A new solution is possible, making it possible to provide lifesaving clean water much sooner than we thought...it means pipes to a privately owned well, with a tank and pump on parish grounds. Fr. Joseph has it all figured out for $4600 and we feel confident that he is on the right track. His friend, Fr. John Judie of Louisville KY will be visiting within a few months, and will verify the project progress. We know we were promising a well, so PLEASE let us know right away if you want us to refund your donation. May God bless all of our friends who have help us raise the funds for the water project. We hope you will be supportive of this more affordable alternative, and we hope you will keep watching here for updates as Father Joe and friends move forward with the water project! The YearofMercyWell GoFundMe is active again. We'd like to thank all of the supporters who helped to get this campaign off the ground and encourage those who have yet to donate to please watch the video linked to this account and find it in your heart to help this hard working community. Thank you to all for the outpouring of money and effort on behalf of Father Joe's parish. Recently we have been blessed to have been introduced to a contractor who has done charitable work in Kenya for similar communities. By God's grace fresh water may soon be a reality at a fraction of our original budget. We are presently linking this fund to an account for transfer to Father Joe and there is a temporary hold on contributions for a few days. It will be open again very soon. Thank you for your continued generosity and prayers. Plz help with any thing you can! Mercy is beautiful when we take care of each have other! Good luck in reaching your goal!! I had the most beautiful rosary beads made by my friend Peg Drebena Demetris. She did not want paying. But she asked for the Money to be donated to this wonderful cause. Thankyou Peg. God Bless FrJoe. God Bless You, Fr. Joe, and all the people you serve!